GO's "Big Mouth" F-24 Small Format UV LED Printer does it again by setting a new standard for the most usable printing area of a UV flatbed printer 24-inches and under. 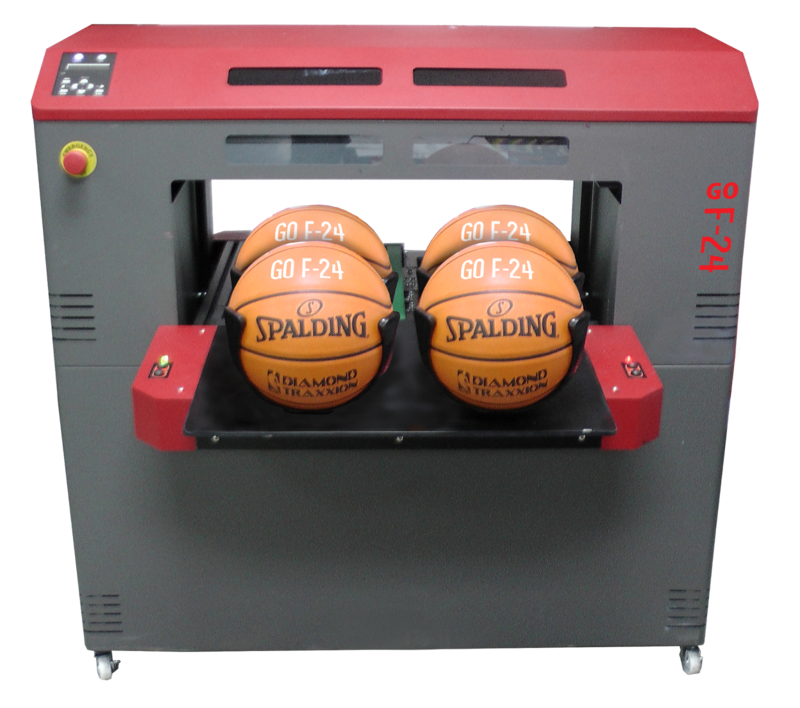 With a width of 24-inches by 18-inches and a depth of 10-inches, the GO F-24 is truly a "Big Mouth" and the only UV printer of this size actually able to print on four fully inflated basketballs at once. There are many requirements for printing unusual and thick objects of more than three or four inches thick. As a result the GO F-24 is quickly becoming the standard for small format UV printing due to its unique capabilities. As you will note, the F-24 offers 4320 cubic inches with largest size and the Mutoh ValueJet-426UF and the Roland LEF-20 being on the low end at 679 cubic inches. The F-24 offers over 600% more volume for printing as compared to the Mutoh and Roland units. For more information about the GO F-24 Big Mouth please click: GO F-24 Info.